The Biopharma industry is moving at lightning speed and it can be a challenge to keep pace. Here at Biotech Primer we spend hours each week researching, writing, and editing original content for the Biotech Primer WEEKLY with one goal in mind: to help everyone better understand the latest science and technology driving today’s healthcare industry. 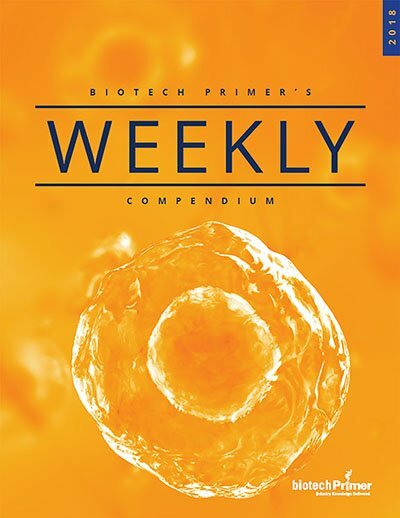 This eBook is a collection of Biotech Primer WEEKLYs from the past 12 months. The Biotech Primer WEEKLY is a one-page, easy-to-ready newsletter delivered each Thursday right to your inbox. To Download your FREE copy of the 2018 Compendium, enter your details below*. *By entering your details, you are subscribing to weekly delivery of Biotech Primer WEEKLY in your inbox. You can unsubscribe at any time.